» Opinion: Just when did going to the cinema become so painful? 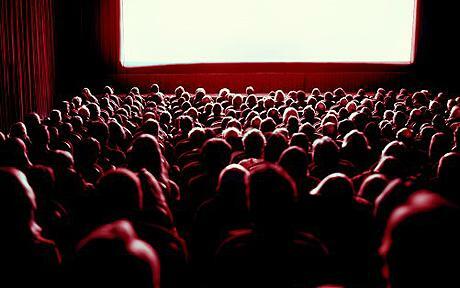 Opinion: Just when did going to the cinema become so painful? OK – let me put my cards on the table straight from the off. I love going to the cinema, always have done and always will. And when I say love, I mean love – as in the ‘whirring sound the screen makes when it rolls back before the main feature is one of my favourite sounds in the world’ love. Which is why writing this article is proving so difficult, as the simple truth is, somewhere over recent times, sitting in a movie theatre has become much more of an ordeal than I ever remember it. Perhaps it is because I have entered the domain of recognised ‘film critic’ (replete with special preview screenings at the likes of Fox’s offices where manners are in evidence), or because I am simply getting older, but it just seems a whole lot less fun now than it used to. I would just like to caveat this point by noting that, being a fan of the more ‘shlocky’ end of cinema’s outpourings, to a certain extent you have to be prepared for the worst. After all, it would be pretty churlish of me to complain about audience frustration when I was watching something like, say, Saw 3D, which, as my trusty critic friends keep insisting, only brain-dead non-entities go to watch anyway. In all honesty I have absolutely no problem whatsoever with the ‘football crowd’ mentality you get at some screenings – after all, audience interaction can definitely enhance a certain type of film – pulpy blockbusters in particular. 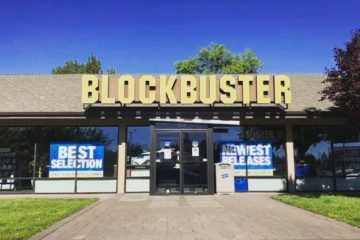 But it is all the added annoyances that prove most trying, meaning a visit to my local film house has become more of a frustration than a pleasure. In evidence, I would like to put forward my experience of watching The Mechanic recently (I know, I know – I was asking for it, right?). Turning up in good time, I was surprised/impressed to see the auditorium already pretty full as the lights dimmed. No worries, I thought, I will forego my ‘usual’ spot and head to the empty front row, risking the health of my neck muscles to wallow in the magic that is The Stath up close and personal. So far so okay then, but, just as the never-to-be-missed trailers came to a close (and we were getting that truly god-awful Orange ‘Rio’ ad), a group of spotty-faced teens came and plonked themselves directly to my left, forcing me to move my coat. Fair enough, I thought, only for the guy to my immediate left to spend the entire film TEXTING ON HIS BLOODY PHONE – what exactly was the point of paying £9, I thought, but merely ground my teeth in anger. As if that was not bad enough, just as the film started, incredibly, two guys came and sat themselves down to my right, clutching a bucket of popcorn that could clearly have rubbed out starvation in a Third World country. Boxed in, with texting to my left and popcorn munching to my right, I really did wonder why I bothered, but I got down to the serious business of ACTUALLY WATCHING THE FILM. And, in truth, it was a fairly entertaining one, nothing more and nothing less. But, just as I was allowing myself to phase out the many, many outside interferences, a sequence took place that dragged me right back into the maelstrom. For anyone who plans to see the film but has not yet done so I will tread carefully but to simplify there is a plot strand in the film which sees Ben Foster’s character pretend to be gay in order to get closer to one of the guys he has to kill (a rival hitman who happens to be gay). The closure of this sequence sees the two actors indulge in some of the ‘softest’ petting you could possibly imagine before the action pay-off but the patrons were certainly not happy. There were boos, groans of disgust and various other obvious noises of discomfort which, I have to admit, actually caught me by surprise. There was an uneasy air of blatant homophobia hanging over the cinema and it had me squirming in my seat – not for what was happening on screen but for the sad fact that a reaction like this could still happen in 2011. Thoroughly chastened (and with my action movie aficionado membership badge having crumpled in my pocket – no doubt in embarrassment) I sat in silence for the remainder of Statham breaking necks and spouting one-liners (all in a very macho way, of course). I was still mulling it over as I left the cinema – and that doesn’t even include all of the noisy eating, drink slurping, back-of-the-chair-kicking, talking, people constantly visiting the loo and other general annoyances that punctuate a 21st century trip to the cinema. Well I put it down to cinema simply losing its magic over recent years – rather than going to see a certain ‘film’ groups now simply ‘go to the cinema’ and as such the whole thing seems a bit less special, and a lot more attainable, than it ever used to. Audiences seem to have much shorter attention spans and demand more bang for their buck, but, as The Mechanic proves, even that is not always enough. With the watered-down product that has been force-fed through the multiplexes over recent years, I see no end in sight and, who knows, perhaps there will even come a time where a visit to the flicks proves simply too much hassle – well, after darkness falls any way. Do you agree? 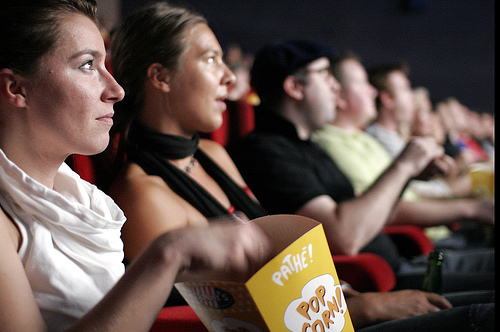 Have you had an annoying cinema experience? Or am I blowing the whole thing out of proportion? Let us know below.